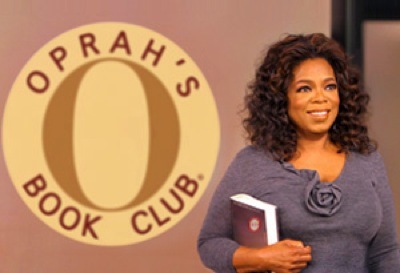 One week from today, on Friday, September 17th, Oprah will announce her next Book Club selection live on her show. Next week marks the beginning of the final season of The Oprah Winfrey Show. Oprah’s announcement will come 14 years to the day since she announced her first book club selection, Jacquelyn Mitchard’s The Deep End of the Ocean, on September 17, 1996. It has been almost a year since she announced her last choice, Uwem Akpan’s short story collection Say You’re One Of Them. Of course, everyone is speculating about which book she will choose. The rumor is that it’s a Macmillan title, so that points to Jonathan Franzen’s Freedom. That seems highly unlikely to me since Franzen thinks he’s too cool for Oprah and her viewers. Other possibilities include Nelson Mandela’s Conversations with Myself or Some Sing, Some Cry by Ntozake Shange & Ifa Bayeza. What book do you think Oprah will pick? Do you think she’ll go with a classic or a new book?